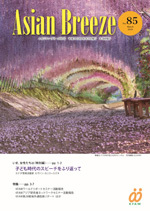 Ajia Josei Kenkyu(Japanese) has annually been published in Japanese by Kitakyushu Forum on Asian Women (KFAW) since 1992. Volumes 1 to 18 include papers, articles and book reviews contributed by researchers inside and outside of KFAW on such topics as development, environment and peace from a gender perspective. From volume 19 onwards, Ajia Josei Kenkyu include reports by KFAW researchers as well information on the KFAW Research Division's activities. 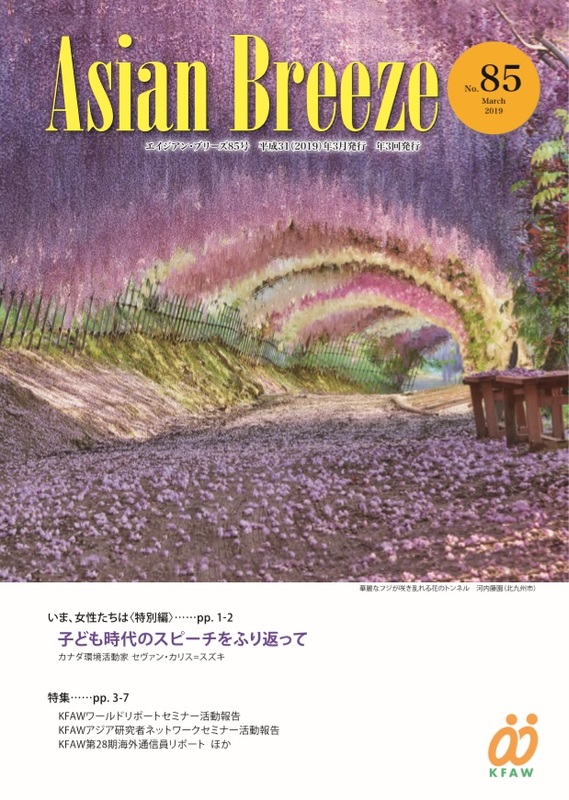 Journal of Asian Women's Studies (JAWS) has annually been published in English by Kitakyushu Forum on Asian Women since 1992. JAWS, volumes 1 to 17 provided an interdisciplinary forum that critically considered knowledge and strategies for empowerment of women in Asia and other countries by inviting papers, articles and book reviews from academics and practitioners of various countries. From volume 18 onwards, JAWS includes papers contributed by researchers outside of KFAW* and reports on activities of KFAW researchers as an E-journal. * At the moment, we don't accept any papers from outside of KFAW.